Conditions	the terms and conditions of sale as set out in this document and any special terms and conditions agreed in writing by the Seller. Goods	the articles which the Buyer agrees to buy from the Seller. Price	the price for the Goods, including VAT but EXCLUDING any carriage, packaging and insurance costs. 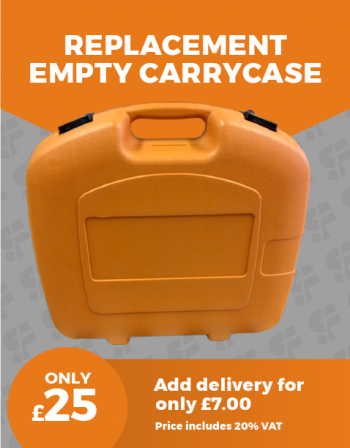 Seller	SupaFixings UK Ltd. of Units 7 & 8, 7 Campsie Road, Kirkintilloch, Glasgow G66 1SL. 2.4	These Conditions may not be varied except by the written agreement of [G. Paterson – Company Director] the Seller. The Price shall be as shown on the website. The Price is inclusive of VAT which shall be due at the rate in force on the date of the Seller’s invoice. Payment shall be made in advance of despatch of the order by any means available to the Buyer. i.e. Sage Pay for credit and debit cards, bank transfer, or Paypal. The quantity and description of the Goods shall be as set out on the Seller’s website. 8.1	The Buyer shall be deemed to have accepted the Goods [48 hours] after delivery to the Buyer. 8.2	The Buyer shall carry out a thorough inspection of the Goods within [48 hours] of delivery and shall give written notification to the Seller within 5 working days of delivery of the Goods of any defects which a reasonable examination would have revealed. Carriage will be chargeable on all sales under £160.00. This will be at the rate as advertised on the website, dependant on the value of the goods.